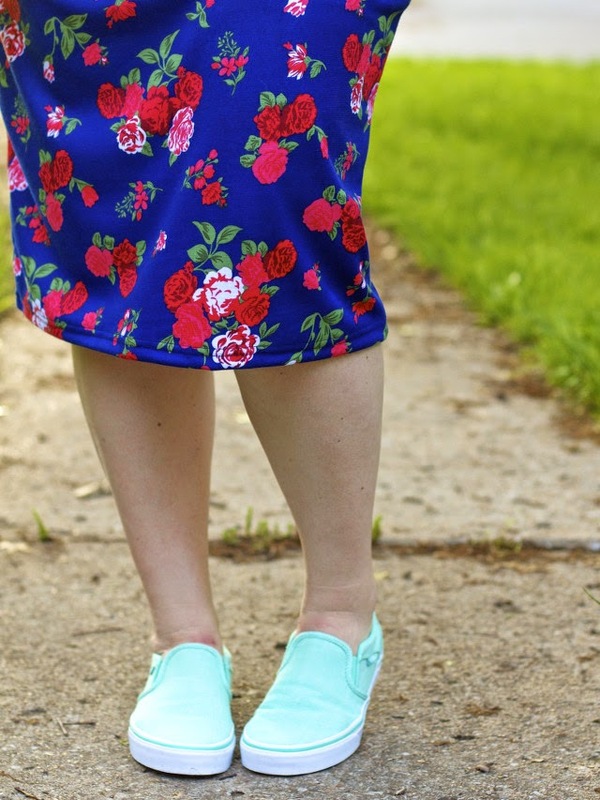 Call me lazy or trend-obsessed, but my favorite sneaker right now (and really, shoe in general) is the slip on. I have several pairs now - starting a few years back with leopard ones and just got these new sea green pair (on sale!) perfect for spring and summer from Rack Room Shoes. 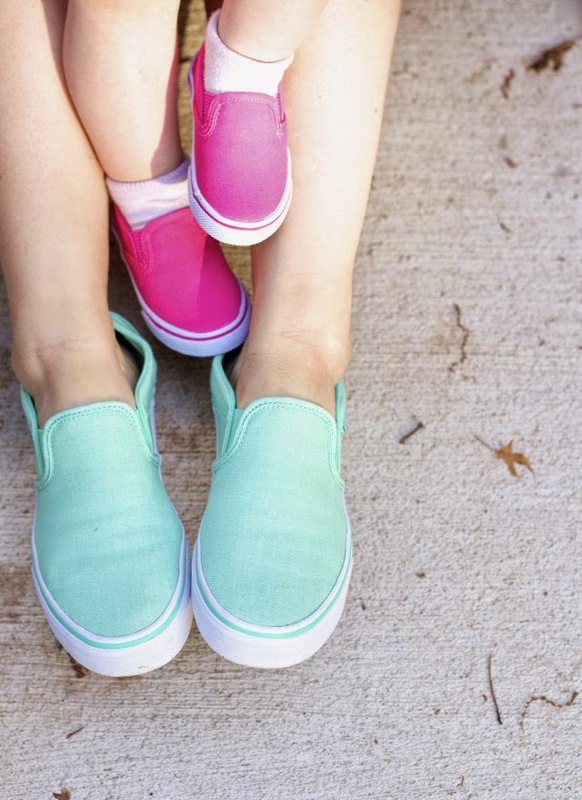 I also just had to extended that love to my own little, and Nora has a matching pair in pink (also on sale!) also from Rack Room! I only kept her socks on with these because she has super puffy feet - and it just makes slipping shoes on easier... not the most ideal look, I know. 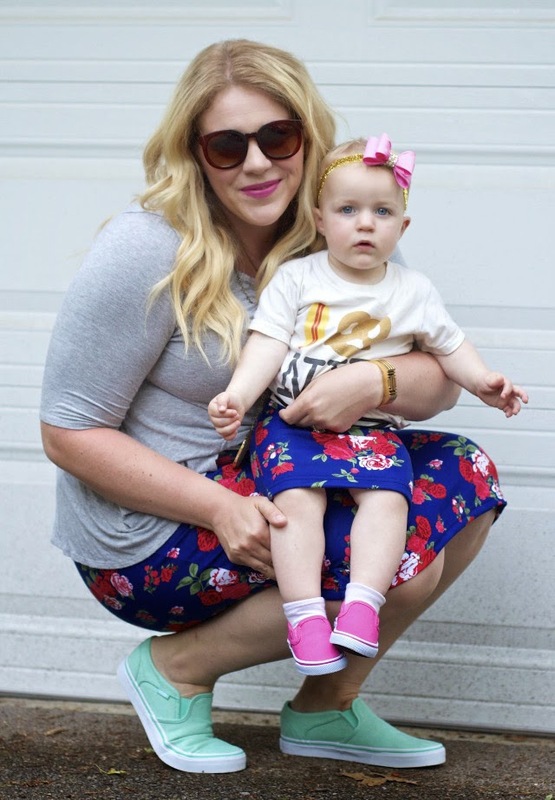 We continued this mother-daughter matching style straight into our whole outfits, because...why not? I'm only going to be able to get away with this for a couple more years and I know it might not be some people's jam - but I love it on occasion! 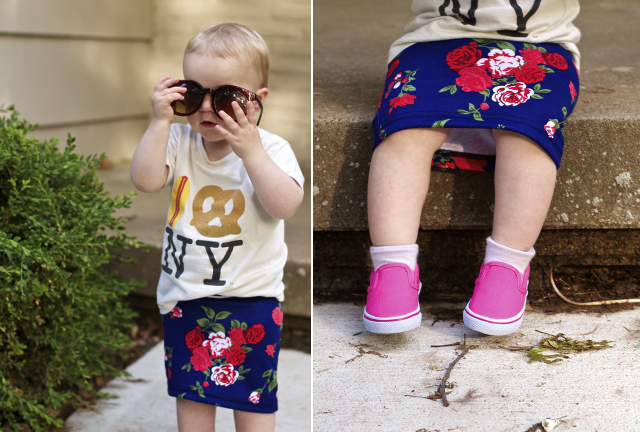 These skirts are by Color Me Apparel, and they have a whole slew of adorable skirts for both mama and daughter. Seeing that pencil skirt style on Nora's little diaper booty was the most fun I had all weekend. 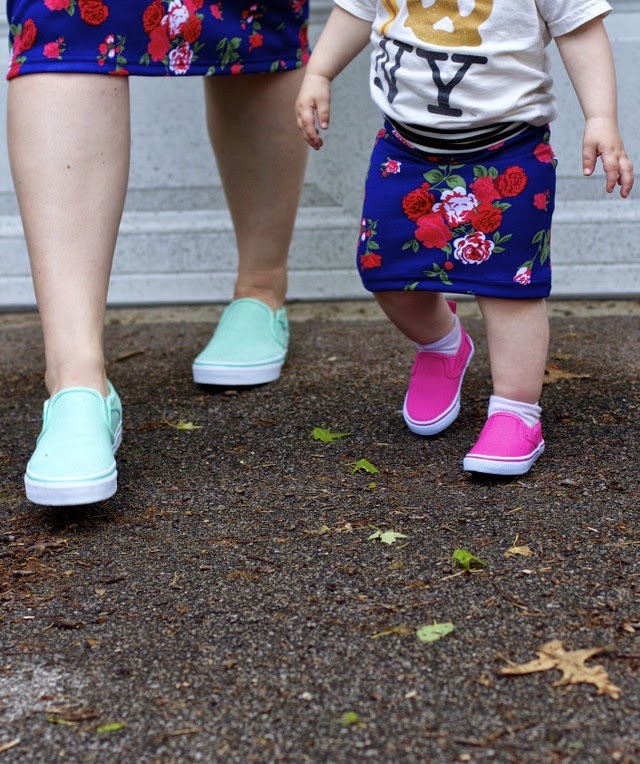 But whether you want to match your child or not, I think a pair of slip and go sneakers are perfect for any age and any outfit this summer. 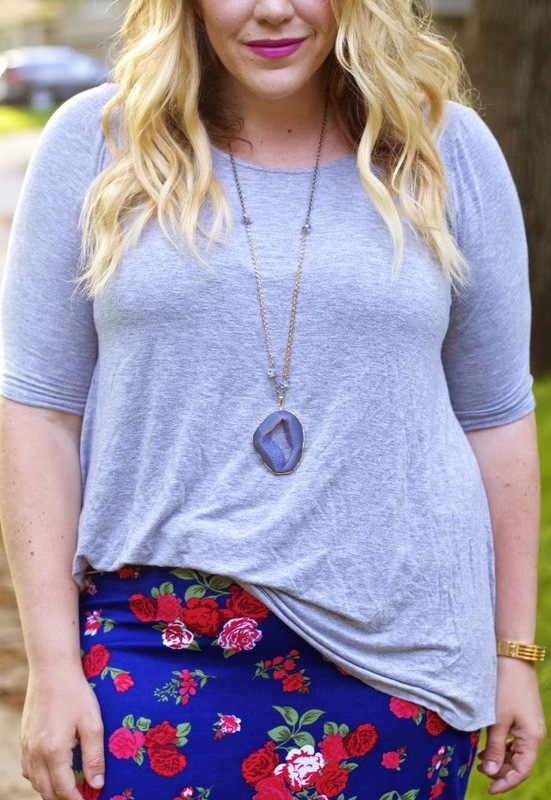 They are comfortable and come in so many prints and colors these days. At Rack Room Shoes, you can afford to buy multiple (or a pair for your whole family), since they offer "buy one, get one 50% off" all the time. And they have great brands that you know and love - mine are Vans! P.S. This awesome druzzy stone pendant necklace I'm wearing is by the uber talented Ngan of Enve Designs. She has the most beautiful and unique pieces... check her out! Make sure to go follow along on Instagram and check back this evening for a GIVEAWAY! 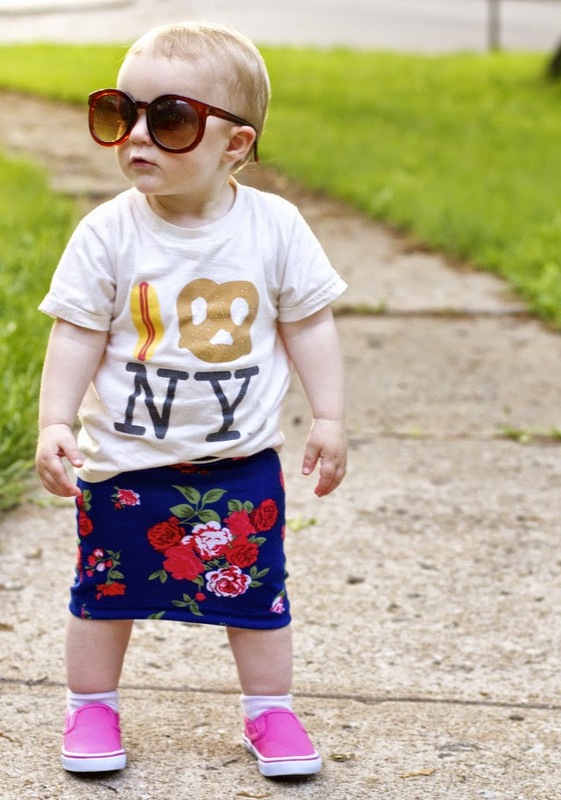 In honor of Mother's Day week, we will be giving away a matching set of skirts to one mama and daughter duo. It's an Instagram giveaway only - so make sure to follow me there to enter! 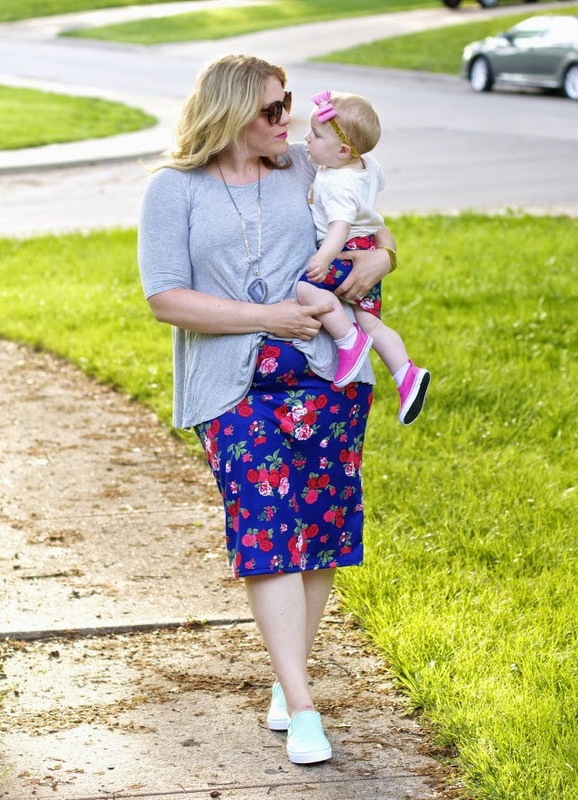 Of course, don't forget to go check out my co-mamas and how they matched their babes wearing different skirts from Color Me Apparel and shoes from Rack Room: Sandy, Lynzy and Carly! You can see past posts from this series right here! Thanks to Rack Room Shoes for partnering with us on this month's theme! Of course, all opinions are our own!